Woody Herman's main influence on jazz was felt through the effects of the First Herd, the Second Herd and the band of the middle sixties. It is on these bands that I have allowed the emphasis of this book to fall. STEVE VOCE began writing about jazz in the Melody Maker during the 1950s and it was also at that time that he became a regular jazz broadcaster for the BBC. 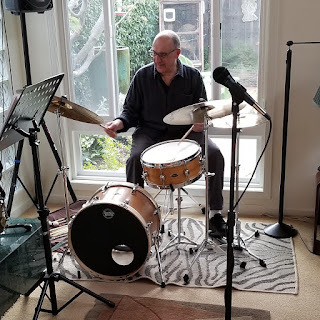 He has presented his own weekly radio programme, “Jazz Panorama,” for more than eighteen years and has contributed a stimulating and controversial monthly column, “It Don't Mean A Thing” to Jazz Journal International for a quarter of a century! 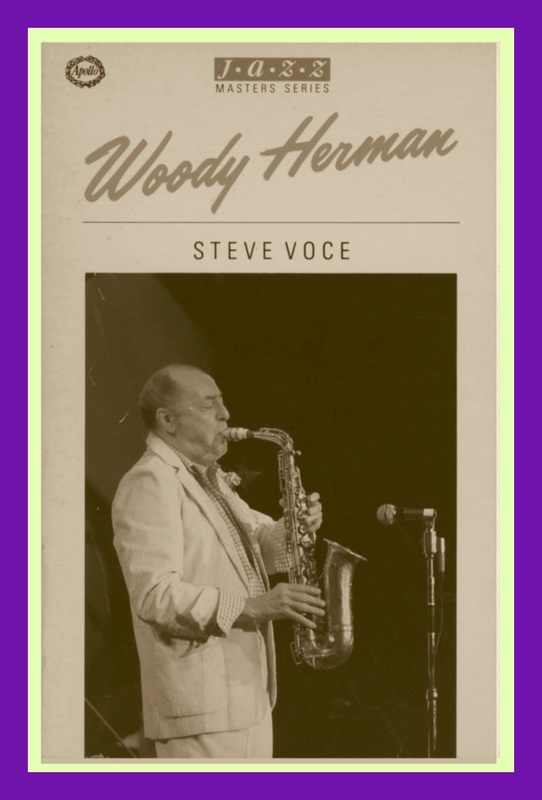 Here’s the second chapter of Steve’s insightful and illuminating work on the most influential bands of Woody Herman’s illustrious career. “From the evidence of his earliest recordings with Isham Jones, Woody Herman's clarinet playing had always been both eloquent and sell-assured. In the early days it was possible to tell which other players had caught his ear. Jimmy Noone, the languid and fat-toned prime mover from New Orleans, was a main influence, and Jimmy's expert use of trills remains an element in Woody's work to this day. Regardless of Woody's devotion to all things Ellingtonian, Duke's clarinet player Barney Bigard would have inevitably been a major source of inspiration for him. 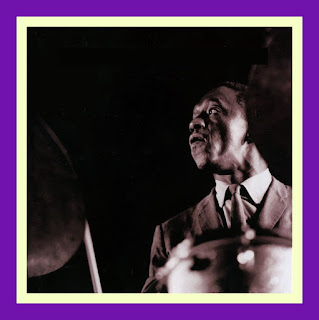 Barney's sound was more facile and jazz-committed than Noone's, but he had the same singing New Orleans quality (Barney's nickname was 'Steps', and Woody deliberately emulates him in the Woodchoppers' record of that name made in 1946). Apart from Bigard's specific sound, Woody made use of his methods, and his famous declamatory soaring over the final choruses on many of the Herd's performances echoes the way in which Duke used Barney's sound to fly across the Ellington band ensemble. In the pre-forties period one can hear Woody occasionally switch onto someone else's style. He was accomplished enough to do a Goodman or a Shaw or even, as we have noted, a Ted Lewis! But by 1940 the elements had come together and, although the Noone and Bigard influences were to remain discernable, Woody had blended them into his own distinctive sound. Perhaps the best example of it from this period is the 1941 Woodsheddin' With Woody, a fast moving Lowell Martin chart to feature Herbie Haymer on tenor and Cappy Lewis on trumpet as well as Woody. Here also the Basie influence is revealed as Linehan, White, Yoder and Carlson open with the familiar tight and sparse rhythm section sound. Although he was never to eliminate them in the way that the genius Barney Bigard did, Woody had achieved an ability to negotiate the breaks between the registers so that not even another clarinettist would notice them. This is a sure sign of a gifted musician, and the solo on Woodsheddin' might have been regarded as a virtuoso display were the listener not side-tracked by the fact that it is a searing hot display of swinging jazz clarinet. It also held another formalised aspect of Woody's style which was to be used to great effect in the ensuing years — the exciting growl from the throat used with random abandon by Pee Wee Russell and honed to exciting perfection by Edmond Hall. One always thinks of Woody as a clarinet player first, and yet he feels more at home playing the alto saxophone, and indeed his playing of this is far more sophisticated than his clarinet work. At the same session that produced Woodsheddin' With Woody the band recorded Bishop's Blues, a tribute to Joe who by this time had contracted tuberculosis. It opened with a glorious alto solo which at that stage reflected almost as much of Charlie Holmes's playing as it did that of Johnny Hodges. But Hodges was probably Herman's all time favourite, and his later work on alto always acknowledged the Rabbit. Woody's qualities as a blues singer have already been noted, but his vocal talents were wide enough to ensure that, had he not been a band leader or horn player, he could have made it as a leading vocalist. As well as the blues and the novelty numbers like Get Your Boots Laced Papa, Who Dat Up Dere? and the famed Caldonia. he had a subtle poise and timing that enabled him to sing ballads to tremendous effect, and the 1941 'Tis Autumn reveals a singer entirely devoid of the cloying histrionics which instantly dated many contemporary ballad performances. Interestingly his voice has dropped over the years, although perhaps not quite by the octave that he claims. Throughout the years he has recorded many jazz-inspired ballad performances, perhaps most notably Ralph Burns's arrangement of Laura for the First Herd in early 1945. The skilful Burns had written a glorious mattress for the band to place first under Woody's alto and voice, and then under Bill Harris’ trombone for a legato display which showed that when he wanted to Harris could tread with ease the ground usually regarded as Tommy Dorsey's preserve. But we digress. By 1941 the arrangers were beginning to shape the band sound to a far greater degree. Previously much reliance had been placed on 'heads', but when Deane Kincaide and Jiggs Noble joined Joe Bishop on the arranging team, the emphasis changed. First of all came Noble's re-working of La Cinquantaine, which was a feature for drums and clarinet and a massive hit under the title Golden Wedding. Unfortunately Bishop's health deteriorated and he went into Saranac Lake Sanatorium at the beginning of October 1940. But before going he handed in the score of a new blues, Blue Flame, a brilliant moody 12 bar which the band cut for Decca in February 1941 and which has remained Woody's theme tune to this day. Jiggs Noble was now Woody's staff arranger and scored the band's more commercial material. There was by this time quite a lot of this, and the erosion of the Band That Played The Blues had begun. The standards of the sidemen were raised appreciably when musicians like trumpeters Ray Linn and Billie Rogers and tenorist Herbie Haymer joined the ranks. Herbie Haymer had quit Jimmy Dorsey's band because he wasn't being given enough solos to play, a situation that Woody was happy to put right. The band moved west to California in the summer of 1941, and an initial short booking at the famed Hollywood Palladium was extended to three months. Then it moved to the Sherman Hotel in Chicago for a couple more months before fetching up at the Strand Theatre in New York. The New York theatre bookings were notorious amongst the musicians in the big bands. A band would play up to six shows a day between film showings, starting work at nine in the morning and finishing after midnight. It's very easy to see how musicians could take to drink to find some release from such tension, and understandable that they hardly felt inspired to play. Bud Freeman recalls that 'Playing One O'Clock Jump at nine thirty each morning was as relaxing as working in a steel foundry.' Bud played for Goodman and Tommy Dorsey, and they must have been much more difficult to work for than the easy going Herman. Dorsey, for example, had a system of fines for his musicians which included a $50 one for being late on the stage. (One night when one of his violin section missed the first three numbers by being late, Tommy called him out in front of the audience and made him play his third violin part for each number as a solo!) And the Dorsey band played up to nine shows a day. Sometimes Tommy would call a band rehearsal as well! There was a lot of showbiz hokum involved with playing to the fans, or bobby-soxers as they then were. Among the other New York theatres Herman played at were the Capitol, Loew's State and the Paramount. The Paramount had a superior lighting system and of course the familiar rising stage, so that the band would start playing somewhere in the bowels of the theatre and emerge slowly before the audience like some primeval monster from the deep. Woody's band played Blue Flame of course, and as it came up on the riser, as it was known, Herman had his back to the audience. As the point of the clarinet solo entry was reached Woody turned round in the total darkness and began to play with phosphorescent paint covering his hands and his clarinet! He stood it for a week, but after that the paint had gone. September 1941 saw the recording of Blues In The Night, a major hit which was issued on a 78 with This Time The Dream's On Me as backing. This latter was another good example of Woody's way with ballad lyrics. Joe Bishop came out of hospital in January 1942 and worked from home as an arranger for the band. His playing days were over, but he wrote for Woody and others until ill health in 1951 forced his retirement from music. That same month the band cancelled a string of 17 one-nighters and returned to Hollywood to make its first movie, provisionally titled 'Wake Up And Dream' but finally issued as 'What's Cookin?'. The band played Woodchopper’s Ball and the Andrews Sisters were among the many variety acts featured. With the film in the can, the band began working its way back from Hollywood to the East when Frankie Carlson was struck with appendicitis. Dave Tough came into the band as a substitute, and it is entirely likely that he was the drummer on the four titles that the band recorded on 28 January. 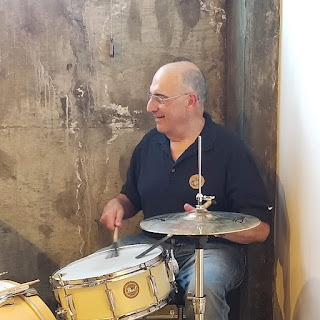 These included A String of Pearls and three ballads, which make it difficult to find any distinctive touch from the drummer, whoever he may be. In March 1942 Saxie Mansfield finally left the band and music altogether. This was another move away from the Band That Plays The Blues, as Mickey Folus moved in from the Artie Shaw band to replace him. The band spent the spring playing at the Hotel New Yorker before moving to the Paramount Theatre for the summer. By this time the draft into the American armed forces was playing havoc with the band personnel and it seemed to Woody that there were farewell parties every day. Although it still worked under the tag of the Band That Plays The Blues, the library by 1943 included a number of much more complex charts that made greater demands on the musicians. 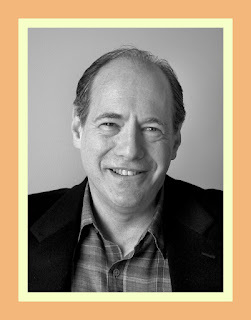 Still unswerving in his devotion to Duke Ellington, Woody hired Dave Matthews to write for the band. 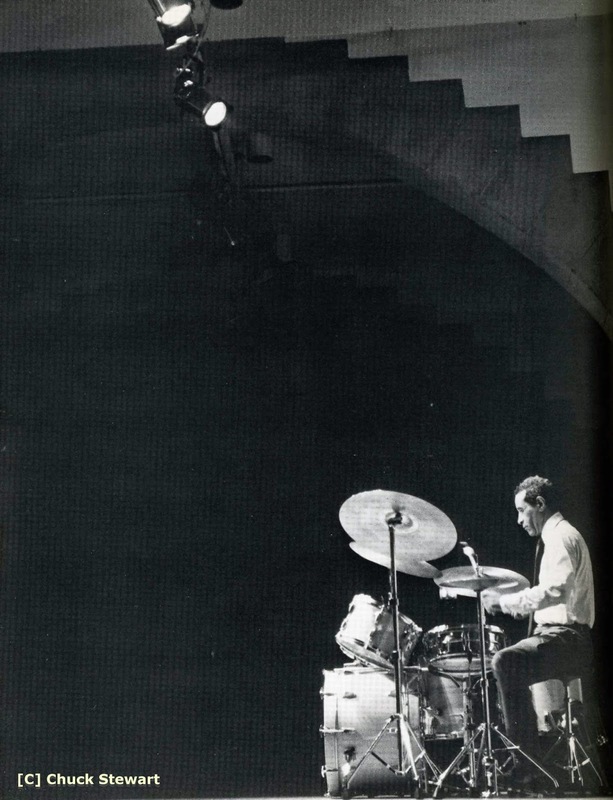 Dave already had a prodigious reputation amongst musicians as a man who could write convincingly in the Ellington style, and he was very experienced, having come through the ranks of the Ben Pollack, Jimmy Dorsey, Benny Goodman and Harry James bands during the previous decade. Gillespie's writing already had the shape of things to come as can be heard on the 1942 Herman recording of Down Under, which Dizzy wanted for some obscure reason to dedicate to Australia. He also wrote Swing Shift and Woody 'n' You but neither went into the library, although it seems likely that Swing Shift appears as a theme on one of the band's contemporary broadcasts. During the seventies Woody asked Dizzy to up-date these arrangements for the current band, but Dizzy had no interest in going back. Their careers have crossed on occasion. Once when Woody was snowbound in Salt Lake City with his band, Dizzy flew in for a job, but the rest of his band were trapped elsewhere by the weather. So the Herman band appeared as the Dizzy Gillespie Band with Woody in the sax section! The band was also much influenced by the work of the Jimmy Lunceford and Count Basie bands at this period, and the standards of the men coming into the ranks needed to be higher to cope with the more advanced writing. Surprisingly, since so many musicians were being swept away in the draft, the standards did go up. In the middle of 1942 James C. Petrillo, President of the American Federation of Musicians, imposed one of his two long bans on musicians recording for the commercial companies. 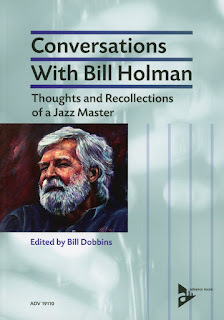 Had it not been for the survival of some of the permitted recordings for radio (and these did not emerge before the public until decades later) a vital period of jazz history would have been lost to us, a period when the Ellington band was burgeoning, when the spores of bebop were taking hold, and when the Herman band was filling up with new talent. More sophisticated charts laid a bigger burden on the brass, and Woody took on girl trumpeter Billie Rogers, thus becoming one of the first leaders to use five trumpets. Billie was featured as a soloist and vocalist as well as working in the section where the extra strength allowed trumpeters to rest in turn. Woody has recalled how, with the continuing stream of farewell parties in the band at that time, Billie could start the evening as fifth trumpet and by the time it was over have worked her way up to the first trumpet chair as the men got loaded and fell off the stand. Billie was the first girl to sit in the ranks of an American name band, and she was not there merely as a novelty. Her main inspiration was the trumpet playing of Roy Eldridge, and she really wanted to play jazz. Unfortunately the Petrillo ban meant that she was in the band when it was playing better than ever before, but not recording. It was not until the eighties when a collection of her broadcasts with Herman appeared in an album that we were able to judge just how good she was. Later she married the band's manager Jack Archer, and finally left Woody in January 1944 to form her own band. There were some questions about her contract with Woody, and a five month wrangle ensued before the AFM found in her favour. Other future stars of the jazz firmament began to pass through the sections. Tommy Linehan's health was not good, and his eventual replacement at the piano was Jimmy Rowles, a man who was to return to later Herds and who became a quite outstanding soloist and accompanist. Vido Musso broke up his own band and he and Pete Mondello came in on tenors. One of the most powerful of jazz trumpeters, Nick Travis, made an early but brief appearance. Skippy DeSair joined on baritone and was to stay through the triumphs of the First Herd. Still with the band were veterans Neil Reid, Walt Yoder, Hy White and Frankie Carlson. The band returned to Hollywood in January 1943 to make a full length film, Wintertime, with glamorous ice skater Sonja Henie. Her spectacular beauty was the main feature, but there was plenty of space for music and the band played four feature numbers including Dancing In The Dawn, later extracted from the film and issued on a V-Disc. This was a long number ranging in mood from the sentimental to the hard swinging by way of an added string section and vocal chorus, vocals from Woody and Carolyn Grey, a tough tenor solo from Vido Musso and a burning clarinet improvisation from the Chopper. The band appeared in heavy furs, overcoats and scarves, and Woody wore ski boots and a lumberjack outfit. Hardly suited to balmy California! Walt Yoder and trumpeter Chuck Peterson were soon drafted, and Gene Sargent came in on bass. He also wrote arrangements and one of them, Basie's Basement, was later recorded for Decca. Frankie Carlson was one of many to be seduced by the California climate, and he handed in his notice. The band's new singer, a young girl called Anita O'Day, had similar ideas, as did Vido Musso and altoist Les Robinson, and they left. Neil Reid's reason for going was more pressing as he was inducted into the Marines. The replacements came from somewhere. Woody wasn't a predatory band leader, but he suddenly found himself with two of Charlie Barnet's best men, Barnet's erstwhile and excellent drummer Cliff Leeman and, most significantly, Greig Stewart 'Chubby' Jackson on bass. 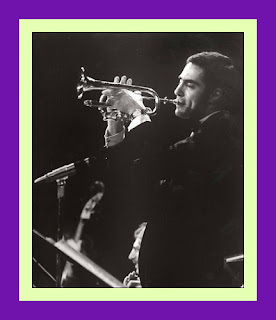 Trombonist Ed Keifer joined from the Bob Chester band, from whence another trombonist, Bill Harris, had recently gone to join Benny Goodman. Amongst all this coming and going in the middle of 1943, the fine altoist Johnny Bothwell and, more importantly, one of Woody's best ever girl singers, the late Frances Wayne, came into the band (some years later Frances married Neal Hefti, trumpeter and arranger with the First Herd). The band crisscrossed the country with one nighters. Wartime conditions made travel difficult, with the trains crammed with servicemen and bus services reduced. Woody, who has always been a keen motor racing enthusiast, travelled by car and enjoyed it, but still the stress of the times got to him and he collapsed from nervous exhaustion in Philadelphia in October 1943 and didn't return for a couple of weeks. As the AFM was still haggling with the record companies, the band couldn't record for Decca, but it did record some splendid radio transcriptions in November that year. Later Decca was able to issue these and the titles cut before the emergence of the fully fledged First Herd in late 1944 have been unjustly obscured by the incandescent success of the later band. Presumably with Duke's agreement, Woody used some of the Ellington cornerstones on these sessions, notably tenorist Ben Webster and altoist Johnny Hodges. 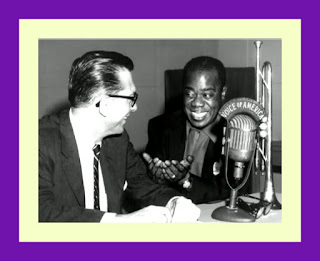 Basie's Basement, among the first titles to be recorded, featured Webster, and Ben joined the band again in New York for a session in January 1944. This produced eight titles including the hit Noah, with Woody's rasping vocal and pungent plunger-muted trumpet from Cappy Lewis. Ben was featured on five of the tracks and blew one of his breathy masterpieces into Crying Sands, a beautiful ballad by the new bass player, Chubby Jackson. This also featured a rare alto solo from Johnny Bothwell, who, like Woody, was obviously a Johnny Hodges fan (Hodges himself recorded Perdido with them in April that year). The band had a new pianist, a man who was ultimately to change it out of all recognition. He had been with a small group led by vibraphonist Red Norvo and earlier with Charlie Barnet. He was to become one of the great figures in jazz. His name was Ralph Burns. Ralph was to be associated with Woody for many years, but many other great jazzmen passed briefly through the early 1944 band. Allen Eager, Herbie Fields, Budd Johnson and George Auld all sat in the tenor chairs. Ernie Caceres participated in one of Tommy Dorsey's many on-stage rows and left forthwith to join Woody on alto, and Ray Nance and Juan Tizol joined the Ellingtonians who recorded for Woody. Tenorist Vido Musso came back briefly when the band made the film Sensations Of 1945, where the band shared the music with Cab Calloway and his orchestra. As filming finished Cappy Lewis got the dreaded request from Uncle Sam and left after almost five years with Woody. Guitarist Hy White, the last of the original members of the Band That Plays The Blues, left to become a teacher. Elvin Jones - "He's A Real Gone Guy"
Tommy Dorsey - "Pine Top Boogie"
The M-Squad and TV Jazz - 60 Years Ago!